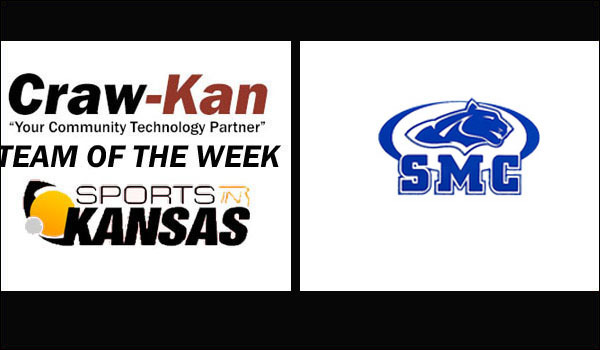 The Craw-Kan "Your Community Technology Partner" Team of the Week from Southeast Kansas is the St. Mary's Colgan girls basketball team led by head coach Abby Farabi. The Panthers won the Tony Dubray Classic in Liberal, Missouri over the weekend by putting together three wins in the tournament. Senior all-state player Cathy Farmer was named the Most Valuable Player of the Tournament. Colgan got the win in the championship 41-30 over league rival Galena. The Panthers used a 14-6 run in the fourth quarter. Colgan got a first round win over Colony-Crest (58-45) on Monday before knocking off Bronougah (45-32) on Thursday to advance to the finals on Saturday where they knocked off Galena. St. Mary's Colgan (9-2, 3-1 CNC) is back in action on Tuesday as they take on Frontenac at home.